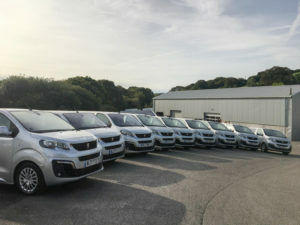 The Travellers will be supplied by PSA Group’s leasing company ‘Free2Move Lease‘ and will be delivered and maintained by the local Peugeot Dealer, the Hawkins Motor Group, Peugeot said. Peugeot’s Traveller is available in three lengths with seating for a driver and up to eight passengers and with a variety of adaptable seating layouts, the company added. Spectrum is a registered charity that provides residential care for adults and children, as well as education and outreach support for those living with varying degrees of autism in Devon and Cornwall. The charity will use the Travellers between their 22 adult residential homes to ferry around 90 individuals as well as 10 pupils at the Three Bridges School and around 12 who receive outreach services.